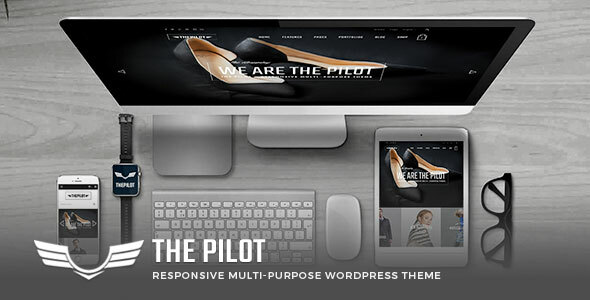 The Pilot is a Corporate WordPress Theme 2016 fully supports WooCommerce, Responsive and Best Premium WP theme designed and developed by ThemeForest’s Top Elite Author. This WP template is best suitable for business, portfolio, e-commerce store, online shopping mall, supermarket and groceries. Fully supports Visual Composer for page builder, Visual Composer Extensions, Revolution slideshow, Ubermenu Mega Menu plugin, bbPress, and other advanced plugins. Responsive, mobile compliance, W3C, HTML5, CSS3 strictly valid, Bootstrap 3 CSS based. Any small, medium or large shop can use this theme easily. The Pilot Corporate WordPress Theme support RTL, multi-languages, multi-store websites. Powerful, advanced & customisable theme admin options. Theme designed as general, popular, common, material design and easy to use styles.